To help make backing safer, the Equus’ cross-path warning system uses wide-angle radar in the rear bumper to alert the driver to vehicles approaching from the side, helping the driver avoid collisions. The A6 doesn’t offer a cross-path warning system. The Equus has a standard Blue Link, which uses a global positioning satellite (GPS) receiver and a cellular system to get turn-by-turn driving directions, remotely unlock your doors if you lock your keys in, help track down your vehicle if it’s stolen or send emergency personnel to the scene if any airbags deploy. The A6 doesn’t offer a GPS response system, only a navigation computer with no live response for emergencies, so if you’re involved in an accident and you’re incapacitated help may not come as quickly. Both the Equus and the A6 have standard driver and passenger frontal airbags, front side-impact airbags, driver knee airbags, side-impact head airbags, front seatbelt pretensioners, height-adjustable front shoulder belts, traction control and electronic stability systems to prevent skidding. The Equus comes with a full 5 year/60,000 mile basic warranty, which covers the entire car and includes 24 hour roadside assistance. The A6’s 4 year/50,000 mile basic warranty expires 1 year and 10,000 miles sooner. Hyundai’s powertrain warranty covers the Equus 6 years and 50,000 miles longer than Audi covers the A6. Any repair needed on the engine, transmission, axles, joints or driveshafts is fully covered for 10 years or 100,000 miles. Coverage on the A6 ends after only 4 years or 50,000 miles. Hyundai pays for scheduled maintenance on the Equus for 3 years and 36,000 miles. Hyundai will pay for oil changes, tire rotation, lubrication and any other scheduled maintenance. Audi only pays for the first scheduled maintenance visit on the A6. 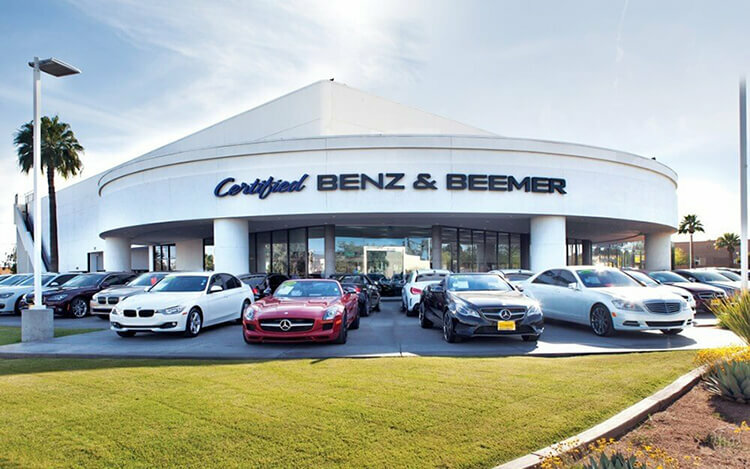 There are over 2 times as many Hyundai dealers as there are Audi dealers, which makes it much easier should you ever need service under the Equus’ warranty. J.D. Power and Associates’ 2013 Initial Quality Study of new car owners surveyed provide the statistics that show that Hyundai vehicles are better in initial quality than Audi vehicles. J.D. Power ranks Hyundai 10th in initial quality, above the industry average. With 2 more problems per 100 vehicles, Audi is ranked 13th. J.D. Power and Associates’ 2013 survey of the owners of three-year-old vehicles provides the long-term dependability statistics that show that Hyundai vehicles are more reliable than Audi vehicles. J.D. Power ranks Hyundai 22nd in reliability. With 6 more problems per 100 vehicles, Audi is ranked 23rd. The Equus’ 5.0 DOHC V8 produces 209 more horsepower (429 vs. 220) and 118 lbs.-ft. more torque (376 vs. 258) than the A6 2.0T’s standard 2.0 turbo 4 cyl. The Equus’ 5.0 DOHC V8 produces 119 more horsepower (429 vs. 310) and 51 lbs.-ft. more torque (376 vs. 325) than the A6 3.0T’s standard 3.0 supercharged V6. To lower fuel costs and make buying fuel easier, the Hyundai Equus uses regular unleaded gasoline (premium recommended for maximum performance). The A6 requires premium, which can cost 20 to 55 cents more per gallon. The Equus’ standard front and rear disc brakes are vented to help dissipate heat for shorter stops with less fading. The rear discs standard on the A6 2.0T are solid, not vented. For better traction, the Equus has larger tires than the A6 (F:245/45R19 & R:275/40R19 vs. 225/55R17). The Equus’ 245/45R19 front and 275/40R19 rear tires provide better handling because they have a lower 45 series front and 40 series rear profile (height to width ratio) that provides a stiffer sidewall than the A6’s standard 55 series tires. For better ride, handling and brake cooling the Equus has standard 19-inch wheels. Smaller 17-inch wheels are standard on the A6. The front and rear suspension of the Equus uses air springs for a smoother, controlled ride than the A6, which uses coil springs. Air springs maintain proper ride height and ride more smoothly. The Equus has a standard driver-adjustable suspension system. It allows the driver to choose between an extra-supple ride, reducing fatigue on long trips, or a sport setting, which allows maximum control for tricky roads. The A6’s suspension doesn’t offer adjustable shock absorbers. The Equus has a standard automatic front and rear load leveling suspension to keep ride height level with a heavy load or when towing. The A6 doesn’t offer a load leveling suspension. For a smoother ride and more stable handling, the Equus’ wheelbase is 5.2 inches longer than on the A6 (119.9 inches vs. 114.7 inches). The Equus’ front to rear weight distribution is more even (52% to 48%) than the A6’s (55.6% to 44.4%). This gives the Equus more stable handling and braking. Because it has more passenger and cargo room, the Equus is rated a Large car by the EPA, while the A6 is rated a Mid-size. The Equus has 12.1 cubic feet more passenger volume than the A6 (109.3 vs. 97.2). The Equus has 1.5 inches more front headroom, 3.8 inches more front legroom, 1.6 inches more front shoulder room, 1.4 inches more rear legroom and 1.7 inches more rear shoulder room than the A6. For enhanced passenger comfort on long trips the Equus’ rear seats recline. The A6’s rear seats don’t recline. The Equus has a much larger trunk than the A6 (16.7 vs. 14.1 cubic feet). To make loading and unloading groceries and cargo easier, especially for short adults or children, the Equus Ultimate has a standard power rear trunk, which opens and closes automatically by pressing a button. The A6 doesn’t offer a power trunk. The Proximity Key standard on the Equus allows you to unlock the driver’s door, trunk and start the engine all without removing a key from pocket or purse. This eliminates searching for keys before loading groceries, getting in the vehicle in bad weather or making a hurried start to your trip. The Audi A6’s Audi Advanced Key doesn’t unlock the trunk. When the Equus is put in reverse, both rearview mirrors tilt from their original position. This gives the driver a better view of the curb during parallel parking maneuvers. Shifting out of reverse puts the mirrors into their original positions. The A6’s mirrors don’t automatically adjust for backing. To help keep rear passengers entertained, the Equus Ultimate has standard rear seat controls for the radio which can play a separate audio source. The A6 doesn’t offer rear seat audio controls.